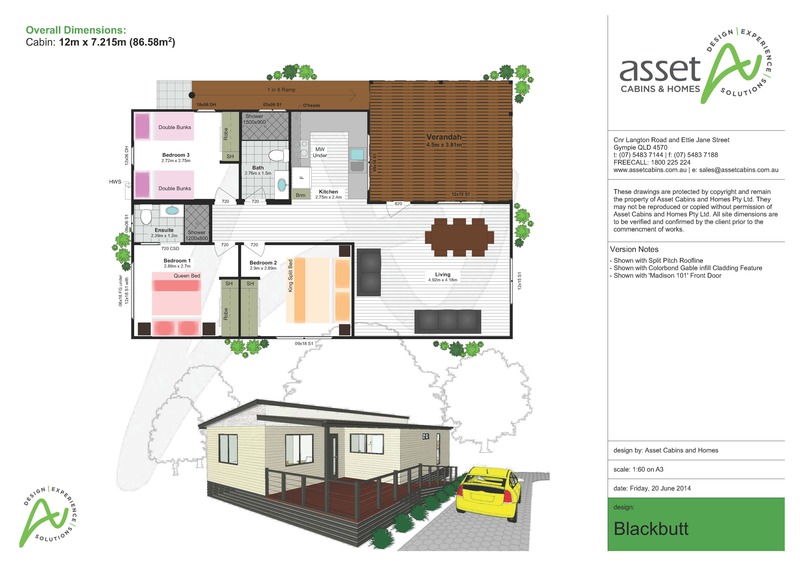 Blackbutt is one of Asset’s biggest cabins for tourist/caravan parks or granny cabin/relative accommmodation! Comfortably sleeping eight, it features a master bedroom with a queen-size bed and ensuite, a second bedroom with two king-singles, and a third bedroom with two double bunks. There’s a full-size kitchen in an enclave away from the spacious living/dining area, which has three and two-seat sofas and an eight-seat dining table. 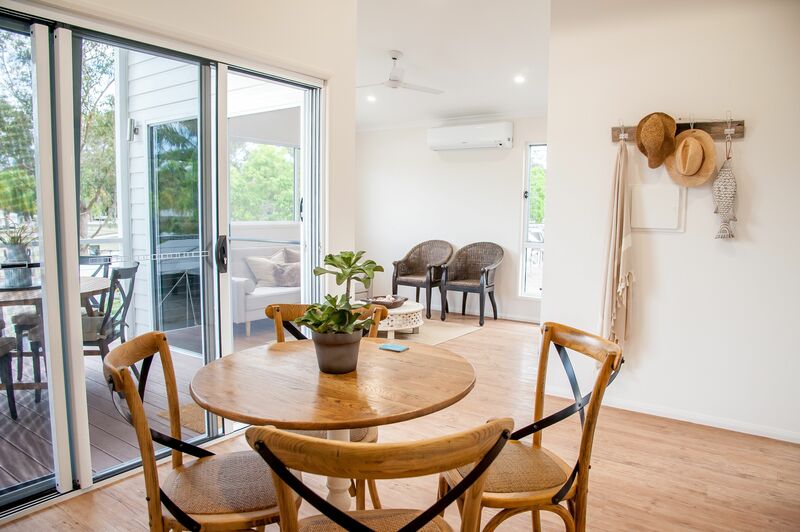 A door opens onto the massive verandah that has a ramp to ground level.